TERMINATOR is different than all other rubbers on the market. 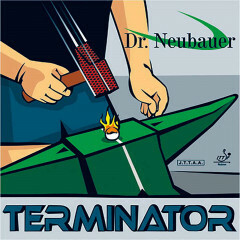 TERMINATOR comes with short pimples and is available exclusively with textile reinforcement (no sponge) underneath. The rubber produces a disruptive float ball while blocking passively, while it bounces very low and "goes down" when performing aggressive blocking. TERMINATOR enables a very dynamic and efficient game while playing against chopped balls. It can also be used to produce a fast "dummy loop". Also the ball bounces very low while counter-attacking and straight hitting. This rubber requires some practise hours however it will then enable you to produce a very effective allround type of game with disruptive effect. 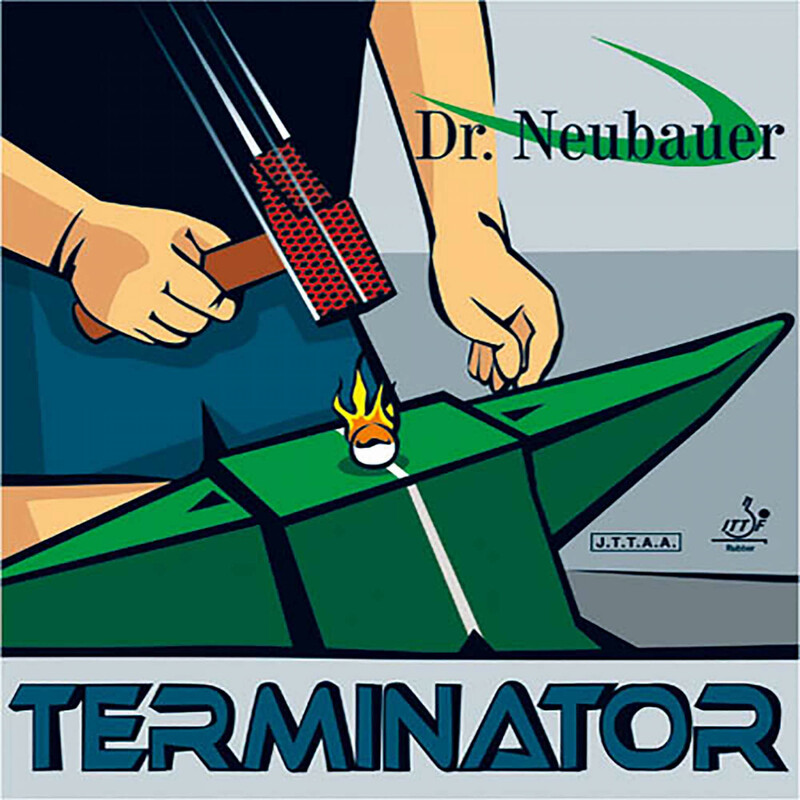 Dr. Neubauer Rubber Terminator is beeing added to cart.